M5tec is a SME located in Newton Aycliffe, County Durham, England. Our team consists of experienced, multi-disciplined and enthusiastic engineers who are committed to successfully delivering engineering excellence on every project. We are dedicated to supplying the Energy Industry with new and innovative solutions to multi-discipline engineering problems whilst maintaining a good working relationship across the Energy supply chain. 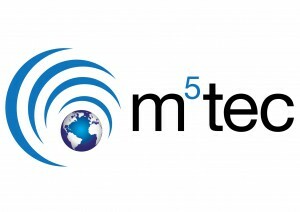 M5tec operate a flat company structure, i.e. no large management team, therefore, we can cope with the demands of our customers whilst maintaining very low overheads. This allows us to offer our clients a quality service with very competitive rates that reduce their costs for outsourcing engineering and draughting services. Quality – We strive to provide a first-class service that meets our client’s expectations whilst adhering to our own in-house quality procedures and innovative approach. Flexibility – Our services are completely flexible and scalable to help suit our client’s needs. We can work on-site, off-site, offshore and worldwide. Health & Safety, Quality and Environmental issues are imperative to everything we do. Our procedures have been certified by a UKAS accredited awarding body. Our devotion to quality and can-do attitude, together with an up to date knowledge of the latest technologies and solutions, enables us to provide first class results to suit our client’s needs.